Thanks for stopping by, as everyone knows I pay it forward in my community to those struggling financially. I do the honor system which some took advantage of. There are lots of wonderful people out there, but when your family is struggling financially then it helps to get ahold of the situation before it gets too out of hand. I didn’t like to ask for help, still don’t. Sometimes we need to swallow our pride and do it for our family. Remember that once you get back on your feet, there may be opportunities to pay it forward and not necessarily financially. We can offer our time, support, and help to those we know going through life’s ups and downs. Click on the link below and you can search for resources in your area. Remember, just because they don’t have the funds one month to help doesn’t mean they can never help. This get you on the right path. Check out the local food pantries in your area, and sometimes they will have a list of resources also. If you are a single parent and have a large tax refund coming up, try to spread it out throughout the year instead of spending it all at once. Try to remember the financial hardships throughout the year and how an extra few hundred per month can make a huge difference in making sure the bills are paid. Check and see if you qualify for food stamps. The few hundred you use on food could be put towards a bill to get you back on your feet sooner. If you know of any resources to help those struggling, please comment below to make a families future a little Hi Everyone! Thanks for stopping by, as everyone knows I pay it forward in my community to those struggling financially. I do the honor system which some took advantage of. There are lots of wonderful people out there, but when your family is struggling financially then it helps to get help before it gets too out of hand. I didn’t like to ask for help, still don’t. Sometimes we need to swallow our pride and do it for our family. If you know of any resources to help those struggling, please comment below to make a families future a little brighter. 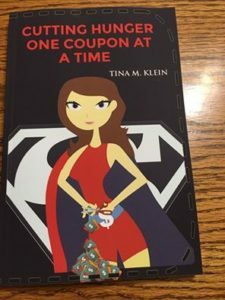 Super Coupon Woman’s Life Event Update! Life has thrown me a lot more curve balls than I would like over the past few years. I have been a server for 15 years and absolutely loved it. Cash Every day, good pay and I interacted with all kinds of people. Unfortunately, Feb 6th 2017 a little boy accidentally tripped me making me fall with a full tray of dishes and I jerked my tray back injuring my arm back to keep the dishes from hurting any customers. I did not realize how injured it was and continued to work and my job did not do a workman’s comp claim or encourage me to go to the doctor. They did the opposite and said they did not want me to go. I had endured a lot of financial loss over the previous years and had just gotten an apartment with my daughter’s help so I felt a lot of obligation’s on my shoulder’s so I continued to work. Nineteen month’s later, I couldn’t take the pain anymore and quit abruptly. I don’t recommend doing that, but had stayed way too long being unhappy and felt they deserved the same respect they showed…none. I really loved serving and without realizing it, did more damage by continuing to work and pretend everything was okay. I now can only lift it half way up in the side position, the other positions I have full range and pain level is between two and three. So in the end, I had to do what I was trying to prevent from happening after the fall, I had to stop serving so my arm can heal. It’s been three month’s and sometimes I feel like it’s healing and other times I feel it’s the same even though I am not working which can be frustrating. They did not care enough to let me go to the doctor, so I can only guess on how to make it better or what the diagnosis really is. I have always wanted to work at home and even though I did not have much money saved, I took this time to try and learn about different opportunities. I am also taking this time to learn about me because up until now my identity has been as a mom or my work. I want to learn about me and what makes me happy when I am not at work. I will be a mom the rest of my life but my girls are grown so I can take time to try some new career’s without the financial pressure I had as they grew up and solely depended on me. Since my previous supervisor’s were mean and bullies, I didn’t want to jump into a job just to be unhappy again. In the previous post, I told everyone about some of the side hustles I have tried and decided they were not for me. I do encourage other’s to try them as they are good side hustles and could be what you need to bring in extra money or full time income. Shortly after quitting, my brother that also has a hurt shoulder and his employer treated him the same way. (he was braver than me and got a lawyer) He needed surgery but had to go to a heart doctor to get the okay for them to do it and found out he needs a heart operation so that put’s more pressure on me to find something to work at home since he takes care of my mom who is eighty. The past six weeks has been full of unknowns which made it hard to know what job direction to go. I was working at TNG and didn’t want to pick up more hours until I knew what was going on. I ended up leaving due to my supervisor making the job more difficult than it needed to be. That’s one of the reasons I loved the job was not having being able to work on my own and have minimal contact with supervisor’s. Meanwhile, I had been applying for other merchandising companies. My brother will be having his operation October 22nd and I will be going down there to take care of him and my mom for about five to six weeks if all goes well. Once I knew what was going on, I could tell interested employer’s what was going on and see if I could work down there and transfer once I am back home. I am happy to say, one company was happy to do that, I should be training this week and they will wait to hear from me on when I will be available for work once I know my brother’s status. I feel like that was a really nice thing for them to do. The Company is Drive Line Retail I will be a merchandiser and the schedule is flexible as long as you get it done by the due date. (usually within the week) so if you are needing something that you can do on your time schedule, apply today. Mystery Shopping has been slow this month so very happy to start my new job. I will post on some other work at home job’s I am or have applied to later in the week. If you are wondering if I am still paying it forward and helping others, the answer is yes! I have a friend that is helping as I am going through all this and she will be picking up donations and giving them out as she finds someone in need. I can’t wait to be able to dedicate more time to it when things get back to normal. Cutting Hunger One Coupon At A Time is Here! The day is finally here! 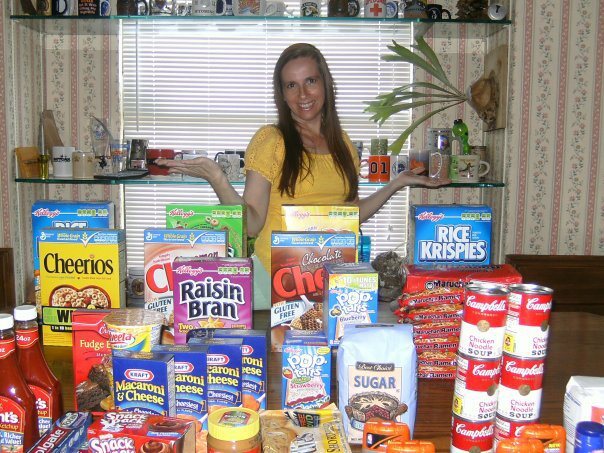 My book “Cutting Hunger One Coupon At A Time” is available on Amazon where I share my story of going from a single mom struggling to pay the bills to donating over $100,000 to my community with the help of coupons and kindness. My book will teach you how to coupon in easy to follow instructions and give you ways to save money without couponing. If you want to start out 2017 saving more money and want to read an inspiring pay it forward story also, this book is for you! Get it at a great price also! Amazon is running a special buy $25.00 in books get $10.00 off. Spend 25 in books, get free shipping. If you are a prime member, you can buy 2 books one for yourself and one for a gift at only 3.00 more. If you are not a prime member, you would need to spend 35 in books to get the 10 off and free shipping. This is a great way to support Super Coupon Woman Foundation, 10% of proceeds will go to helping others. Cutting Hunger One Coupon At A Time Proof Has Arrived! Of Course Super Coupon Woman is going to offer it at a Great Price!